S. Ilan Troen and Rachel Fish, eds. 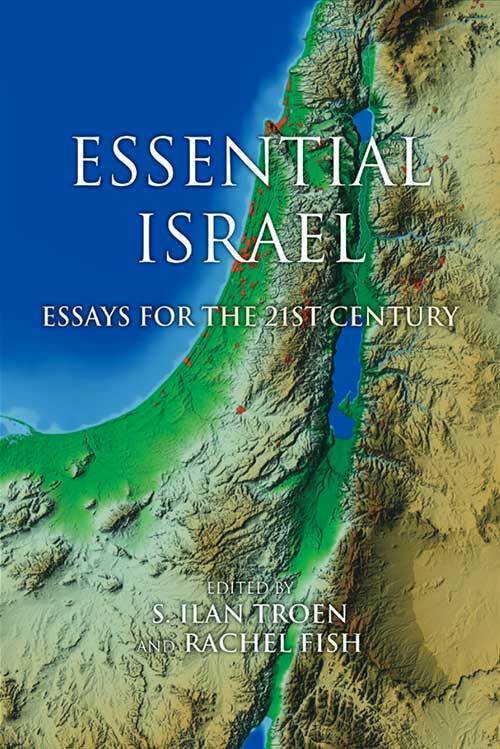 Essential Israel is an innovative and engaging volume of essays designed for American readers who want to be better-informed about Israel: its history and culture, its place in the Middle East, and its changing relations to the United Nations and the United States. In a highly readable style, expert contributors illuminate current issues and concerns in their historical and contemporary contexts. Each chapter can be read as an independent unit, but chapters also cluster naturally around such topics as the Arab-Israeli conflict and the peace process; Zionism and settlement; the Holocaust; immigration, religion, and issues of personal status in a Jewish and democratic state; American Jews and Israel; changing Christian and Muslim attitudes to Israel; and identity as expressed in the Hebrew language through Israeli literature, film, and music. The volume’s diverse essays provide a compelling and nuanced view of complexity essential for a grounded understanding of Israel and the public debate that surrounds it today. S. Ilan Troen '63 is Stoll Family Chair in Israel Studies at Brandeis University, founding director of the Schusterman Center for Israel Studies and president of the Association for Israel Studies. Rachel Fish PhD '13, is associate director of the Schusterman Center for Israel Studies and teaches Israeli history at Brandeis University. This volume is published by Indiana University Press as part of their Perspectives on Israel Studies series. 436 pp. 4 illustrations, 5 maps, 2 tables, 6x9"